I've often talked about gardens in terms of stage sets - and when you visit as many as I do - you start to see certain similarities. 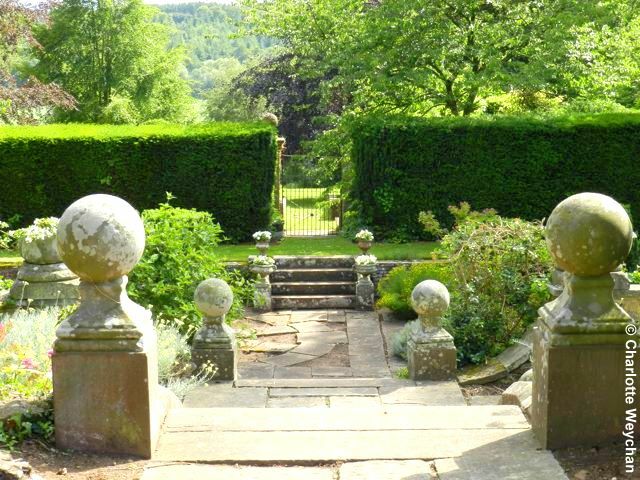 You recognise the director, in terms of the garden designer or influences; the actual set, in terms of planting; and the playwright who gains recognition, in terms of the success of the garden and the size of the audience. 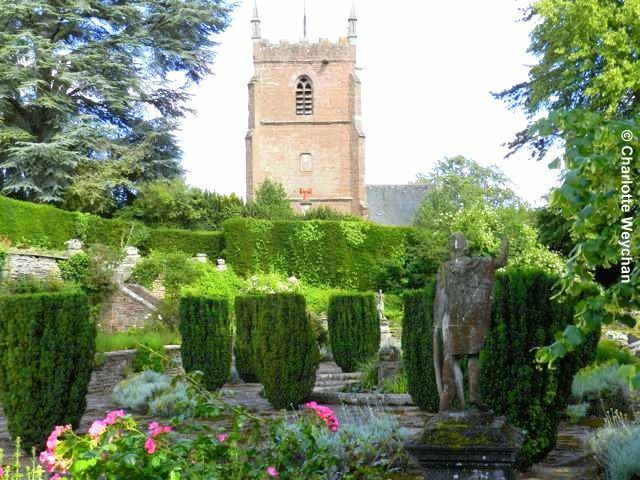 But How Caple Court in Herefordshire breaks all the rules and certainly ranks as one of the most unusual gardens I've seen yet. This garden still haunts me nearly a month after I visited and when you visit the How Caple website, you read: "These important Arts and Crafts gardens, in their heyday immaculately formed, have with the passing of time relaxed into an intensely romantic semi-wilderness, redolent of a lost "Golden afternoon". 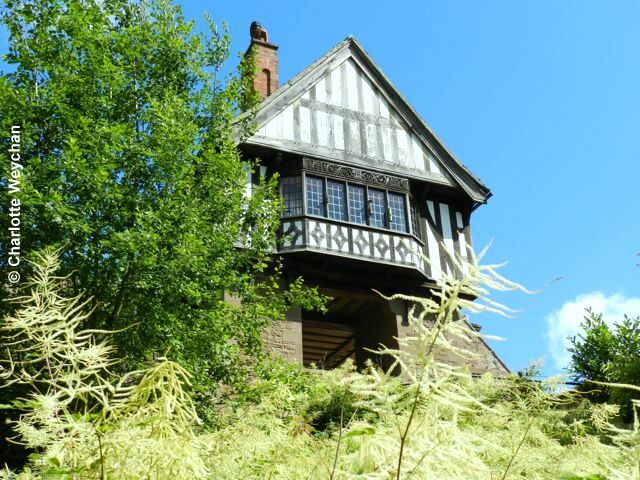 It seems that the owners are most interested in promoting this as a wedding venue, but you'd certainly want to make sure that none of your guests staggered off into the sunset here, because the "semi-wilderness", whilst "romantic", could end in tears! In reality How Caple offers a decaying Arts & Crafts garden, that has run to ruin in parts; but it's incredibly atmospheric - hauntingly so, with it's almost forgotten Italianate water garden, with the rill at its heart (above), filled with pungent, mirky water and a vista that made me think this could be reminiscent of the Hanging Gardens of Babylon, should they still exist. 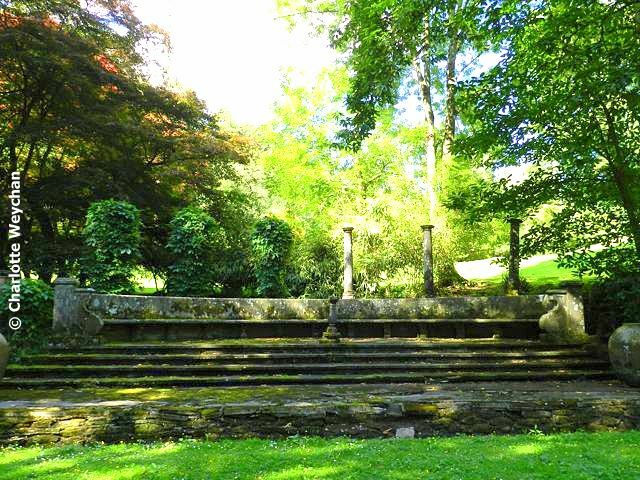 You must proceed through this garden with caution though because the paths are hard to find; there are steep inclines; and the Italianate garden is nothing short of a skating rink after rain! Definitely not suitable for anyone with a disability and don't even go there if you're thinking of taking a wheelchair, pushchair or pram! Forewarned is forearmed and this garden is certainly different! Nearer the Grade II listed, timber-framed house (top), life looks up and the stone-flagged terraces are filled with topiary that's clearly been given a crew cut; statuary and clusters of flowers and shrubs and vistas of the adjacent medieval church and valley below. Definitely not a garden for the feint-hearted, but if you're looking for something out of the ordinary, this one fits the bill! Open daily from March to mid-October (10.00 - 17.00), but take a torch if it's late in the season and a machete to cut through the undergrowth! If you're looking for chalk and cheese, visit Hampton Court afterwards and return to the real world of Herefordshire gardens. It looks a bit like someone's once well manicured garden but whose present-day owner does not have enough money or time to keep it up. while I like a somewhat "wild" look, the issues here threaten to destroy the garden, not just its shape and structure, but its existence. Moss and algae do more to paths than just turn them green and slippery, they extend their tiny roots and cells into the smallest crack to slowly break apart the stone which is the structure of this type of garden. I picture my own garden once I am unable to take care of it and it makes me sad as does How Caple Court. It is quite beautiful as a dying movie starlet with food stains on her shirt, crooked makeup and unbrushed hair. 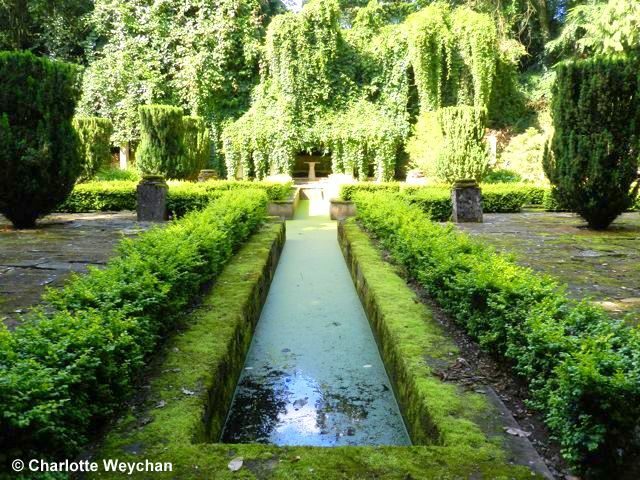 Just chanced on your blog, what wonderful photo's of gardens that were unknown to me. I had never heard of Caple Court until now. Just by looking at the pictures, it reminds me slightly of the Jane Austen books like Pride and Prejudice (my favourite) and Emma. Comparing this to Hampton Court, it makes Hampton Court look more quirky and fun whilst this looks more elegant and sophisticated. Can't wait for your next blog post! I adore semi-decayed gardens such as this. I much prefer them to the carefully-maintained National Trust type. I suppose it comes from reading 'The Secret Garden' as a child, and always having a dream of coming across a locked door to a forgotten wilderness. I don't suppose I shall ever visit How Caple Court, but your photographs make me long to do so.